Car Insurance doesn’t have to be expensive, especially if you are willing to educate yourself on various types of discounts available for the consumers. Below you can find an infographic illustrating extensively the types of car insurance discounts. Owning a vehicle is great, but paying the insurance every month can range from inconvenient to downright unaffordable. If you have multiple vehicles, then you have to pay even more money just to own them—whether you’re driving them or not. If you don’t make a lot of money, the cost of your auto insurance could determine whether or not you can afford the other basic expenses in your life. How can you get good discounts on your coverage so that you can get cheap car insurance and afford your lifestyle? Discount auto insurance is more common than you may realize. Insurance companies usually don’t give you discounts unless you ask for or about them, though. 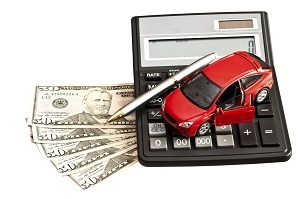 Start your search for discount auto insurance by looking up quotes online and comparing the basic offerings you find. When you find some companies which look like they offer good coverage a price range which is around what you might be able to afford, call up those companies to get a more detailed quote on the phone. The reason you’ll want to call the companies yourself is that only by providing more personal information can you receive a detailed quote which includes all possible discounts. When you talk to each customer service representative, remember to ask them whether there are discounts for your age, education, and driving record. Then ask whether there are discounts for some of your lifestyle choices. For example, many auto insurance companies will give you a discount if you keep your mileage under a particular threshold every year. Others will give you a break on your rates if you don’t drive your car to work. So if you don’t commute with your vehicle, you may be able to save money. There are also generally discounts for safety measures. Some auto insurance companies will cut you a break for installing an alarm, and others will drop your rates if you have GPS tracking in your car (in case of theft). If you park in a driveway and not on the road you could earn a discount. These are just a few of the possibilities—there may be discounts offered for other things not listed here, so ask whether you’ve missed anything. How you drive can impact the rate you pay for your auto insurance. Most people think that their insurance costs go up if they commit a driving infraction. The reality, though, is that it’s having a good driving record which earns you a discount on your insurance, and that discount goes away when you earn points against your license. So whether you can get the good driver discount now or not, by driving well now you may be able to get the discount later and save money over time. Taking a proactive approach makes it easier to find discount auto insurance now and in the future. There are lots of great discounts available beyond the good driver discount however, and finding those discounts is possible with the help of our auto insurance comparison tool!